Death Trucks is a group of images made in different areas of the United States that record the interiors of shipping trucks. Smugglers for the illegal trafficking of people have used these windowless semi-trucks, which can become lethal to immigrants who could overheat or be asphyxiated in the unventilated compartment. Rigoberto Díaz Martinez was born in Cuba in 1990 and currently resides in Miami, FL. His artistic process is a means of research and experimentation used as an analytical instrument. 2019, VSW Press, 8 x 8 inches, 40 pages, saddle-stitched, open edition. This book is part of the VSW Membership benefits. 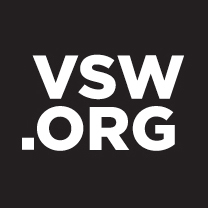 To receive a free copy, become a VSW Member today.